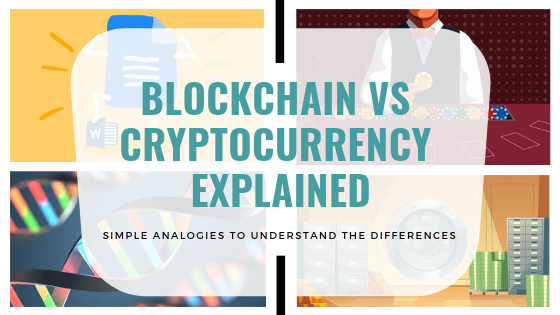 If you’ve used Google Docs, been to a casino, watched a Hollywood movie about bank heist, or know about DNA, you can understand blockchain and cryptocurrency. These simple analogies explain the fundamental difference between the two. The public, and even professionals, tend to misconstrue that cryptocurrencies and blockchain are the same. While the two niche terms may have gained awareness in the past year, most of the public audience still believe that they are synonymous. In fact, marketing efforts have largely contributed in loosening each of the term’s concrete definition, creating even more confusion for people who are not fluent in the industry’s language. There is a fundamental difference between the two, and it can directly affect whether or not businesses should get involved with the technology. To highlight the big difference in the simplest form, let’s look into these unique blockchain analogies. Each caters to distinct demographic: students, gamblers, finance planners, and even biologist. 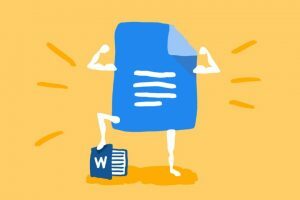 Google Docs made its appeal due to its efficient collaborative feature that allows multiple users to view and edit a document at the same time. It reduces the normal lead time of people using Microsoft Word. This includes waiting the other party to receive, view, edit and send the document back. Most databases in the world today still work like Microsoft Word: access and edits can only be made by one person at a time, while everyone else is locked out. Like Google Docs, blockchain solves the issue by instantly updating any changes for everyone to see. Based on this analogy, you can view blockchain as simply a technology, a powerful tool that helps business’s operational functions to collaborate efficiently. For instance, banking industries could apply blockchain technology to simultaneously verify any money transfers on both ends. Not only banking, but varied industries can also apply blockchain strategically. Read more how these 7 company giants use blockchain to grow their businesses. Another helpful analogy from Ajit Kulkarni to explain a fundamental difference between blockchain and cryptocurrency to a beginner is by imagining yourself in a casino. The process begins with exchanging cash for chips or tokens that can only be used to gamble at the casino. Outside the building, these chips have no legitimate purchasing power. 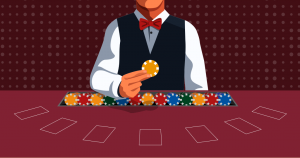 In this analogy, the casino chips are cryptocurrency coins, while the casino is the blockchain network. The simple yet encompassing analogy shows how blockchain provides an ecosystem for players, while cryptocurrency is the currency in which players need to participate in the transaction processes. Fabricio Santos from CoinDesk proposed a glass box analogy to illustrate the transparent & decentralized features of crypto currency. Transparency is powered by blockchain system that creates private keys for public addresses of the wallet. Let’s imagine a huge vault from a bank. The vault is filled with rows of unlabeled deposit boxes. However, each deposit box has a glass facade where everyone can visualize the contents, but can not access it. When a person opens a new deposit box, it receives a key that is unique to that box. Making a copy of the key does not duplicate the contents of the box. And in the same way, even though you have the key, the box is not technically yours. You only have the ability to access what’s inside of it. 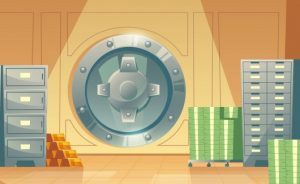 The whole safe vault is the blockchain system, operating and showing the activities of people storing and transferring content from one deposit box to another. On the other hand, crypto wallet is illustrated by each of the deposit box in the vault with content exemplifying the cryptocurrency. This is fundamentally the concept of cryptocurrencies based on Blockchain. Anyone can see the contents and transactions of all other addresses. Biologists and natural scientists can also understand blockchain’s function of recording and updating every transaction by looking into DNA’s role in organisms. Robin Ranjit provided this insightful correlation between blockchain and DNA. Like DNA, which is a record of genetic transactions and mutations that spread as life expanded across the earth, blockchain too is a record of transactions, spreading across the internet as more people use cryptocurrencies. Both become more complicated over time as our DNA evolves and new blocks are added to the blockchain. Each blockchain (e.g. Bitcoin, Ether, Ripple) is like as a distinct species (human, chimpanzee, etc.). A blockchain can also be forked (e.g. Bitcoin Cash) to create a competing currency in the same way that two distinct species can share common ancestor. 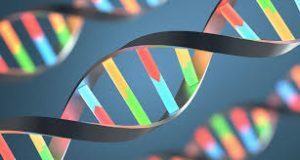 Furthermore, like how changes to DNA do not happen easily — scientists believe it takes about a million years for a genetic mutation to catch on — building a blockchain is not easy, either. The process of evolution and natural selection is a little bit like mining, a complicated series of steps that creates something incredible. Because bitcoin and other cryptocurrencies were the first use cases for blockchain, people think of them as interchangeable. In reality, the different coins are just one application of blockchain technology. This fact should be made into public awareness, especially for businesses across different industries. Despite the volatile crypto market taking center stage, blockchain could actually be the most powerful technology of our time. A technology that holds such great growth opportunities like blockchain should not be missed. However, in the midst of bitcoin crashes and crypto winter today, should businesses still believe in blockchain? Our next article brings the 3 critical steps how businesses should brace crypto winter. Find out how blockchain technology can boost your business’s growth. Let’s have a friendly chat.